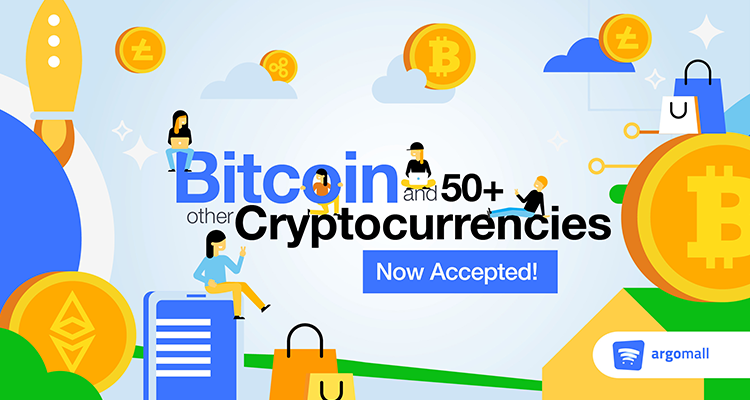 Online shopping website Argomall now takes payment in cryptocurrencies and is the first Filipino online retailer in Southeast Asia to accept Bitcoin and around 50 other cryptocurrencies as payment. 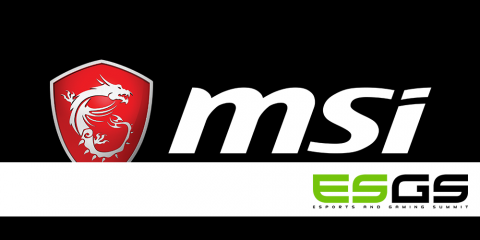 In line with Argomall’s value proposition of personalized convenience, it has added cryptocurrencies, also called Altcoins, to its already wide list of payment options, which include cash on delivery (COD), credit/debit cards, online installment via Home Credit, online banking, over-the-counter payments in banks and non-bank institutions, Gcash and PayPal. 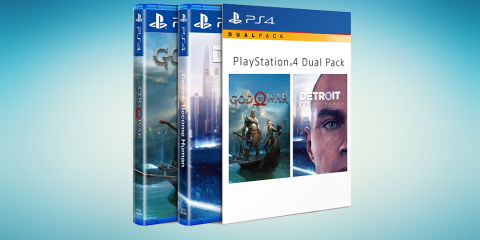 This option became available on April 1 and is only available for straight payments. Argomall partnered with CoinGate to make this project possible. CoinGate is an online trading platform for Bitcoin, Ethereum, Litecoin, XRP and other coins like: Bitcoin Cash (BCH), Sirin Labs (SRN), Telcoin (TEL), Nano (NANO), TRON (TRX), Dai (DAI), Bitcoin SV (BSV), Zcash (ZEC), Ethereum Classic (ETC), Augur (REP), Dogecoin (DOGE), Golem (GNT), DigixDAO (DGD), Wings DAO (WINGS), iEx.ec (RLC), Decred (DCR), Stellar (XLM), Basic Attention Token (BAT), Aragon (ANT), Bancor Network Token (BNT), Civic (CVC), EOS (EOS), TenXPay (PAY), OmiseGo (OMG), Monaco (MCO), 0x Protocol Token (ZRX), Qtum Ignition (QTUM), Storj (STORJ), FunFair (FUN), Salt (SALT), Bitcoin Gold (BTG), DigiByte (DGB), district0x (DNT), Power Ledger (POWR), Populous (PPT), Bread (BRD), Noah (NOAH), Binance token (BNB), Polymath (POLY), Kyber Network (KNC), TrueUSD (TUSD), Mithril (MITH). Compared to its Southeast Asian neighbors, the Philippines has been relatively more open to using Bitcoin and other cryptocurrencies, according to a report in FT.com, the Financial Times newspaper’s online site. It will be recalled that the Bangko Sentral ng Pilipinas (BSP) released a circular in February with regulations for businesses that want to sign up as a virtual currency exchange. It is the only central bank in five countries cited in the FT.com report to do this. Some 2.9 percent of Filipinos are adopting Bitcoin, according to a survey conducted by FT.com, second only to the 3.3 percent of Indonesians doing the same. Overall, Southeast Asia’s cryptocurrency adoption rate is 2.5 percent. Among the five ASEAN countries we survey, the Philippines has made the most regulatory progress. Since February, its central bank has required all exchanges to obtain a permit for trading cryptocurrencies and to register with the country’s Anti-Money Laundering Council. They are also subject to annual fees. We expect the rest of Asean-5 to follow, in response to concerns that Bitcoin is being used to fund terrorism and other crimes. Prominent global companies that accept Bitcoin include Microsoft, British Airways, McDonald’s and Shopify. Established in November of 2015, Argomall grew out of a creative dream by the Filipino-owned conglomerate Transnational Diversified Group to deliver trustworthy and efficient solutions to the discerning Filipino tech shopper. 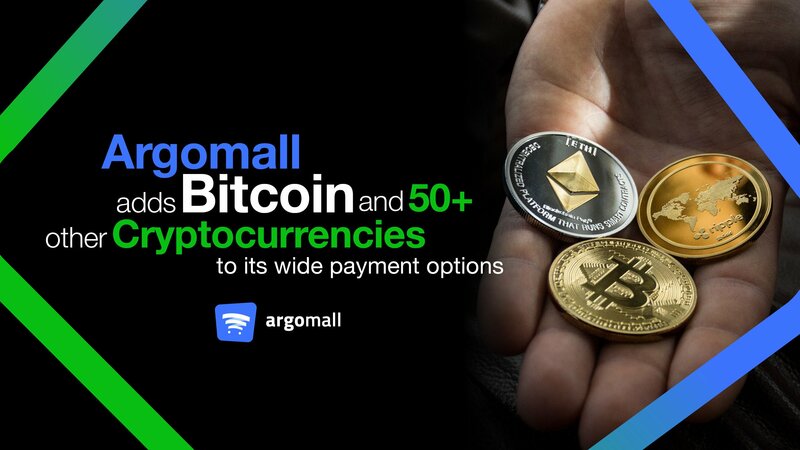 These solutions, now include the opportunity to pay in Bitcoin and around 50 more Altcoins, because it is part of our mission and vision at Argomall to make the discovery, selection and purchase of smartphones—or any other related gadget—in the Philippines easy, while providing the best service on the internet to our consumers. Enabling online shoppers in the Philippines to pay with Bitcoin and around 50 more Altcoins is our way of providing good service, as well as opening up another means by which to earn. This, to us, is a win-win situation where everyone gets good benefits. After all, our vision is that anyone in the Philippines will be able to easily upgrade their smartphone from anywhere, anytime—and that includes giving our customers all the ease and convenience they need to do just that. We aim to make their new device shopping journey as easy and comfortable as possible. 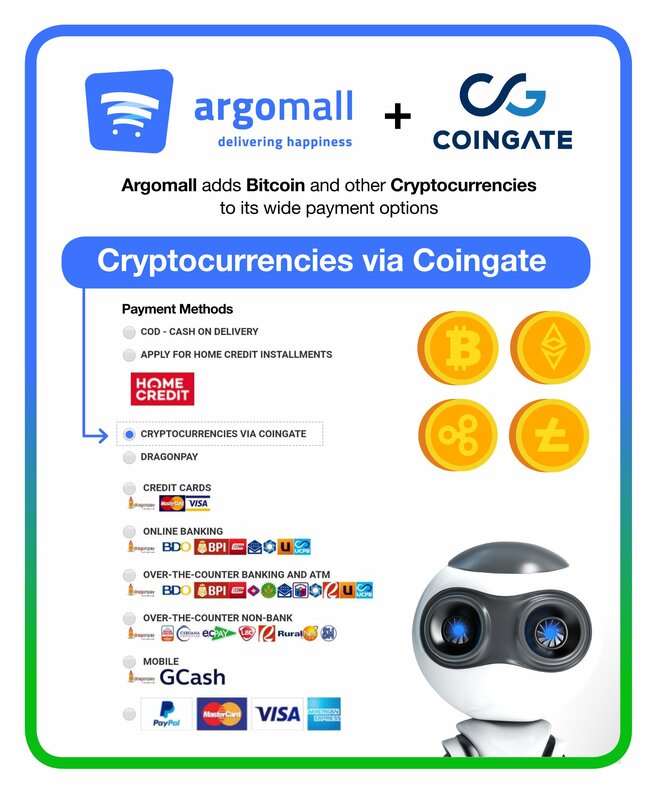 CoinGate Marketing Manager Veronika Mishura said this partnership with Argomall is a large step for cryptocurrency adoption, adding that this is CoinGate’s first such integration in Southeast Asia. Moreover, Mishura said, using cryptocurrencies as payment for online purchases present a cheaper and faster alternative to traditional payment methods. Crypto-adoption among retailers is definitely what we need to strive for, When more stores accept digital currencies, more users are prompted to buy all types of goods with cryptocurrency. This is exactly what crypto-industry needs for recognition that would lead to it becoming a standard payment method along with credit cards. Technologies like Lightning Network have already made it more convenient and profitable for businesses to accept cryptocurrency rather than fiat,” she added. 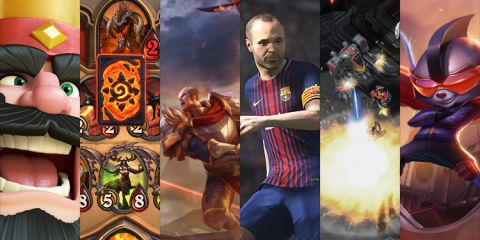 “We are thrilled to have Argomall on board. Hopefully, Philippine crypto enthusiasts won’t stay aside, and will start using this new payment method! 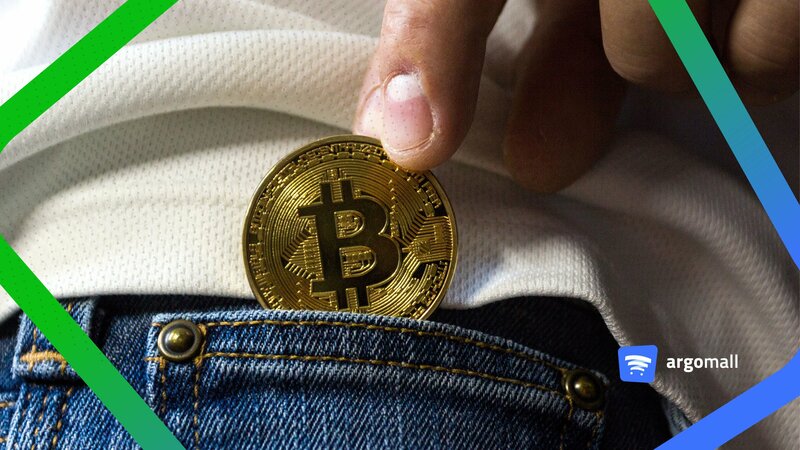 While Argomall does not endorse the purchase of Bitcoin or any of the other 50 or so Altcoins, the company provides opportunities for those who do have these cryptocurrencies to pay with them at Argomall in a safe way.